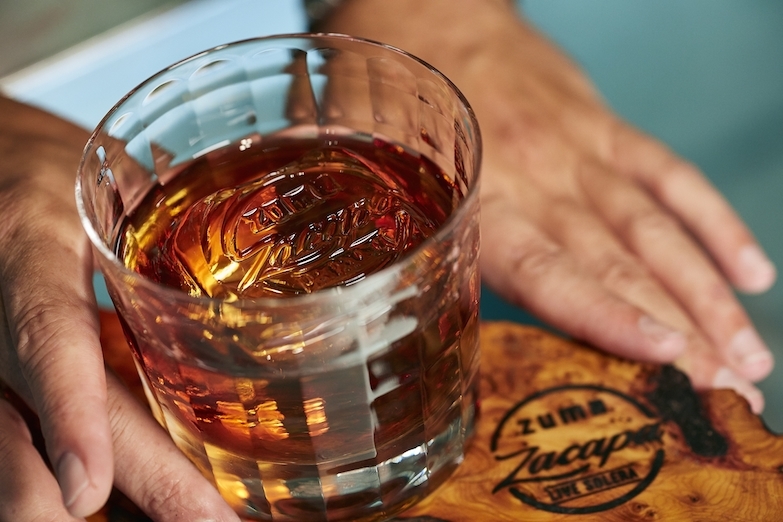 With cocktail installations at Zuma restaurants in Miami, New York, London, Rome, Istanbul, Dubai, Abu Dhabi and Bangkok (with Las Vegas to follow later this year), the Zuma Zacapa Live Solera has just launched at Zuma Hong Kong. An original cocktail – inspired by the flavours and culture of the individual cities – has been crafted for each restaurant, all made with Ron Zacapa rum. The intricate system consists of four oak barrels connected to one another – three of the casks are individually flavoured, with the rum trickling through the barrel system to create a tipple that’s truly one of a kind. Zuma Hong Kong’s flavourings are peppercorn (Sichuan and pink), fennel and duck fat. We’re intrigued by this East-meets-West fusion and can’t wait to take a sip. Once the rum has travelled through the Solera system, it is presented in a chilled glass with a hand-cut piece of ice engraved with a bespoke ice stamper. How cool (literally) is that?